In the end, it turns out that Doomfist won’t be Overwatch’s new hero. 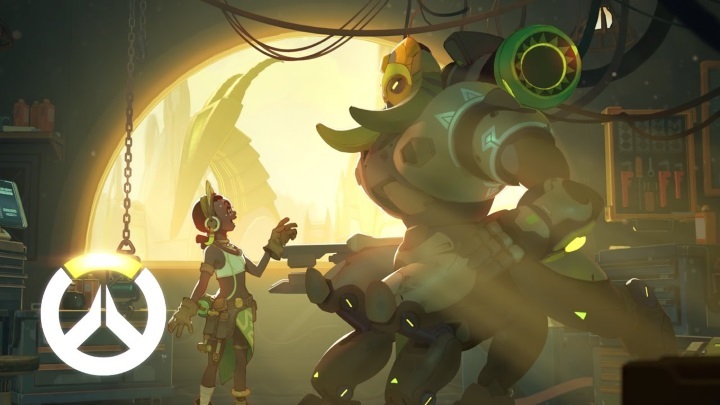 Rather, Orisa, a tank-like robot built by an African child prodigy, will be joining Overwatch’s roster of characters in brief. Of course, since Orisa is not live in Overwatch we don’t know how the character plays yet, although Blizzard has released an origin story video which explains how the character came to be. This video, despite not being as spectacular as those made for characters like Tracer or that for Hanzo and Genji, is still a worthy introduction to Overwatch’s new robotic character. The video ties in to an earlier teaser story about 11 year old child genius Efi Oladele (who some suspected could actually end up being Overwatch’s 24th hero), and another story involving an incident at Numbani airport reported on vg247.com. But know we know that Overwatch’s new hero will in fact be a robot like Genji and Bastion, and one designed and built by supporting character Efi Oladele as seen in the origin video below. And it surely is a great thing that Blizzard keeps adding characters to Overwatch, making the game’s multiplayer action even more fun and rewarding for the millions who are still enjoying the US’ company 2016 hit game.